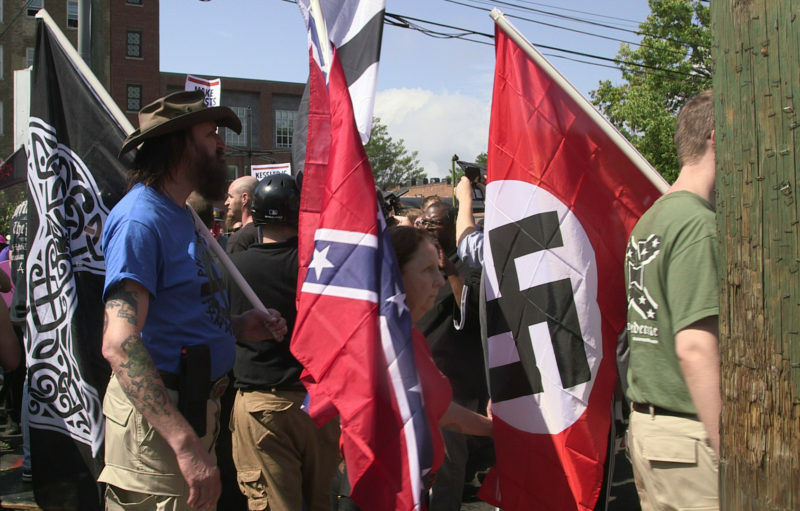 Demonstrators carry Confederate and Nazi flags during the Unite the Right rally at Emancipation Park in Charlottesville, Virginia, on August 12, 2017. Photo: © Emily Molli/NurPhoto via ZUMA Press. On the first day of the fall semester last year, I made a mistake. I was dismayed to note that few of my students showed up. When we met again in class, I asked them what held them back. The room of mainly college sophomores was silent for a few moments, before a student told me that she didn’t know what “Charlottesville” was. I asked how many people were in the same boat. Every student raised his or her hand, except the students of color and the religious minorities. How was it possible that only my minority students were aware of this paradigm-shifting event? Where had my white, Christian students been? Did they not watch the news? What would happen if they were classroom teachers? The conversation that day was… uncomfortable, at best. My class explored these questions with one another, and they did not like what they found. They were not proud of themselves, or the biases they found when challenged about their ideas. That day raised difficult questions for me as well. What is the role of current events in classroom discussions? How do our own biases influence what news we attend to, or if we attend to it at all? And, a year later, how do we talk about Charlottesville and other complicated events in classrooms? Perhaps she was right. Talking about Charlottesville and other white supremacist rallies is outside the scope of many classroom curricula. But if there are any students in a classroom who are affected by the events and messages of rallies like these, teachers ought to be aware. If our students are scared, and have seen images that are reminiscent of some of the darkest days of history come to life, and are unsure of how to interpret these things, then it is our job to be aware of both the events and our students’ feelings. Related: OPINION: Can we trace the roots of Charlottesville to school segregation? There is a counterargument, to be certain. I’ve heard it time and again from teachers and student-teachers nervous to talk about current events in their classrooms, and it goes like this: What if I have students whose parents agree with the “fine people on both sides” argument? Don’t politics need to stay outside of the classroom? What if I offend someone? In the past year, our country has learned very little. Our divisions have, if possible, become deeper and the political rhetoric has become louder. Our classrooms must become safe spaces for all of our students. If we have families who believe in the moral equivalence of Nazis and counter-protesters, those beliefs are not something that we can change in our school communities. But the children in our care have an obligation to learn in a non-threatening space, and we have the obligation to foster that sense of community in our classrooms. There are two outstanding questions. First, how do we talk about Charlottesville in classrooms on this one-year anniversary of the event? 1. Age: Consider the grade-level of students and use that as a guide. Kindergarteners might not need to know about the violence in Charlottesville, while seniors in high school are perfectly capable of grappling with it. 2. Proximity: Students who live in Charlottesville, regardless of age, will have seen what went on. Students across the country will have less exposure. 3. Personal involvement: If you have a student who was personally affected by an event, it’s bound to come up in the classroom. It’s critical to be responsive as a teacher and a classroom community. 4. Activism: If you make the decision to talk about a complex and scary event in the classroom, give students a way to help. Allow them to talk about what they want that to mean, but encourage them to take action, whether that means sending letters to schoolchildren in the area, collecting money for those who need it, or something else altogether. Finally, what about my education students who did not know what “Charlottesville” was? If these young pre-professionals were unaware of such a seminal moment in time, surely others are as well. Schools are communities. Acing the standardized test is not what it’s all about. Our students cannot learn until they are both safe and healthy. Teachers must understand the wider world, and a nuanced grasp of how current events affect our students is critical. Reading the news matters. Teacher education and professional development programs must account for this. Our students are more than who they are between the hours of 8:30 a.m. and 3:00 p.m. They are the sum of their ethnic and religious backgrounds, what their families believe, the communities where they reside and so much more. Teachers need to stay curious not just about our worlds, but also student worlds so that we can be responsive to them and their needs. We will, of course, make mistakes. So will our students. But it is through reflecting on these mistakes and navigating how to correct them individually and collectively that we can make our schools, and perhaps our communities, better places — this year, next year and beyond. This story about classroom conversations and teaching practices was produced by The Hechinger Report, a nonprofit, independent news organization focused on inequality and innovation in education. Sign up for our newsletter. 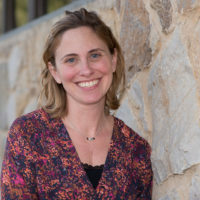 Jennifer Rich is an assistant professor in the College of Education at Rowan University, and the director of research and education for the Rowan Center for Holocaust and Genocide Studies. Her research and teaching focus on “hard histories” (such as slavery, the internment of Japanese-Americans and the Holocaust), and how teachers can talk about these time periods in more honest and inclusive ways.